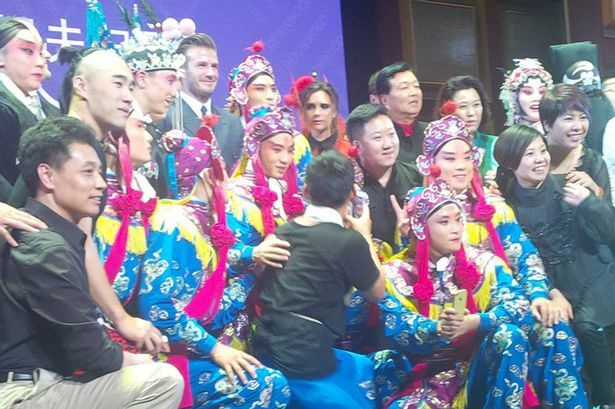 It's certainly been a busy old week for the ever-smiling and ever-professional David Beckham. 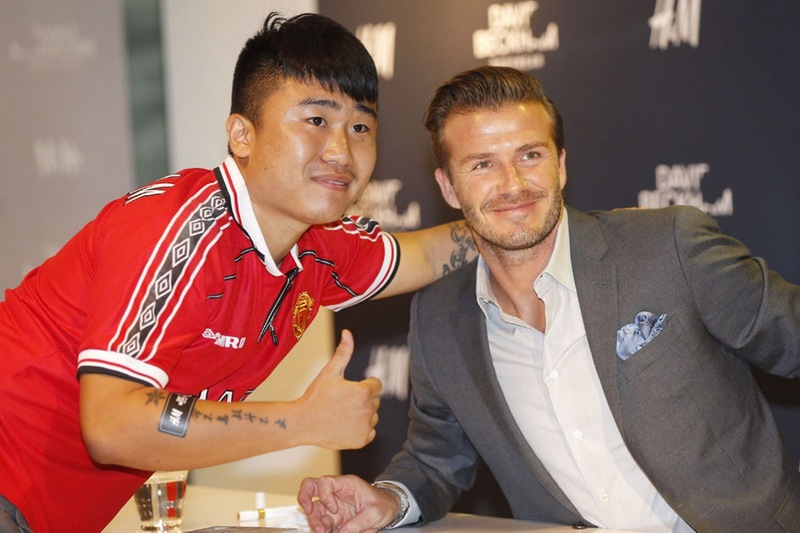 As China's ambassador of football, he has travelled all around the country meeting fans, having a kick-about with promising young footballer, visited a children's hospital and appeared on TV. He even had some time to spend with his gorgeous missus after Victoria jetted out to see him a few days ago and to promote her autumn/winter collection. But today was their last day and while most people would take the opportunity to do some last minute shopping (although we're pretty sure Posh did!) 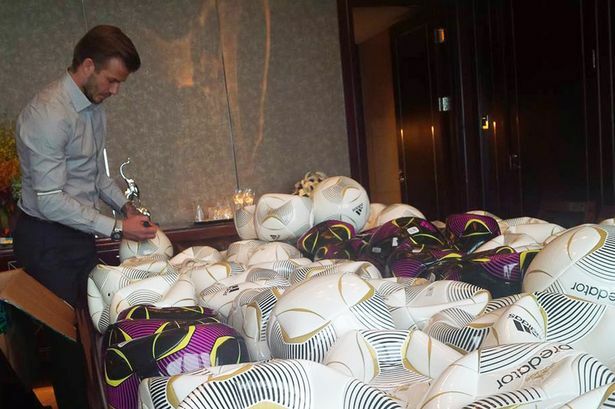 Becks was back in demand again. He made a public appearance at an H&M store in Beijing and was greeted by some very happy fans who were very delighted to see their idol in the flesh. Cue a frenzy of flashbulbs and screams as the 38-year-old signed autographs and posed for pictures, making lots of people's day in the process.